The forecast is for another storm, beginning after midnight tonight and continuing until tomorrow night. I think the totals are expected to be in the 12-18 inch range, with bitter cold. It was hard to believe snow is coming, as today has been a cold, but picture perfect winter day- crystal clear blue skies and sunshine. 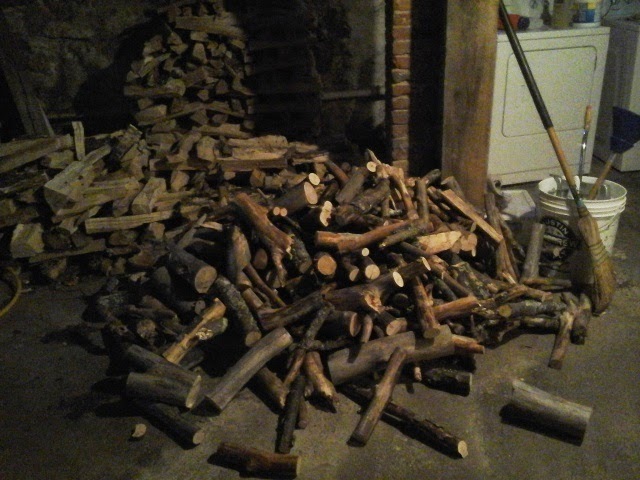 Well, in case the weather guys are right, Steve cut a bunch more firewood today, and piled it down in the cellar so it is handy. So, snow, baby, we are ready! and by the way, that bucket beside the broom is my redneck washing machine. There is a wringer, and a sort of plunger that pushes the water through the clothes to wash.... i do have a regular washing machine, (thank goodness!) but if the power goes out for a few days, this set-up will still get the job done! On another note, it has become necessary to get a bit more aggressive about mice control. One bold little fìeld mouse kept showing up in the kitchen. 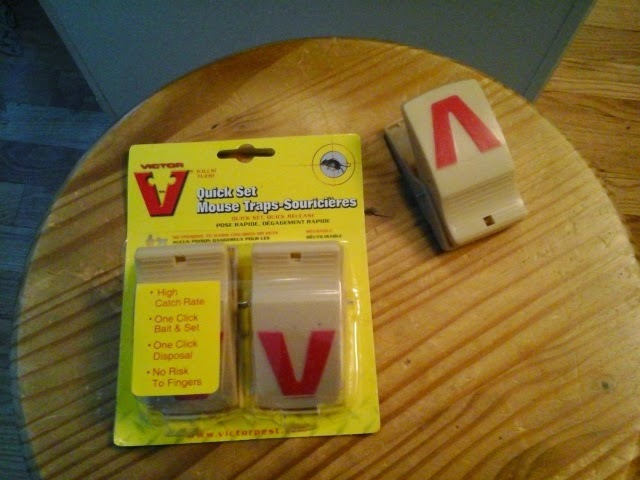 I highly recommend these snap traps. They are super easy to set, almost impossible to hurt yourself, and work really well. And not expensive! i would prefer if the mousies would just stay outside, but I do have to protect the pantry supply. 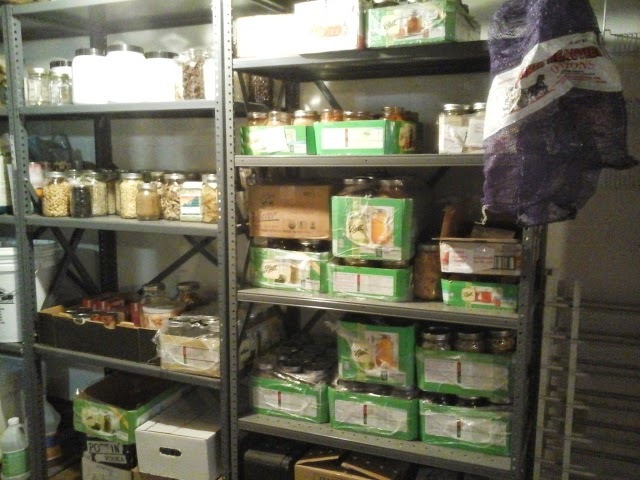 Can you ever have too many canning jars? Canning jars should be mouseproof, but not so anything just in a box or plastic package.